Stress-relieving, full-body relaxation massage. This soothes muscles, increases circulation, and improves muscle and skin tone. Full-body massage that combines some Swedish strokes with firm pressure techniques. Muscle tension, stiffness, and fatigue are addressed. Designed specifically for each client’s needs. 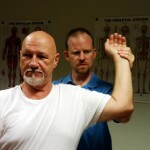 In therapeutic massage, various techniques are used that assist with pain management and promote healing to injured areas. Techniques may include trigger point release, range of motion and other methods. Essential oils, which offer therapeutic properties for many conditions, may complement the massage. Chair Massage ~ If you can’t fit in a full massage, Chair Massage is also available in our office. It’s a great quick pick-me-up to address key areas of the back, neck, and shoulders. Full-body massage performed with smooth, warm bamboo rods that soothe, release, and relax. 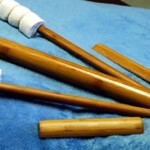 The heat and rolling motion techniques penetrate muscles and allow easier access to areas of tension.